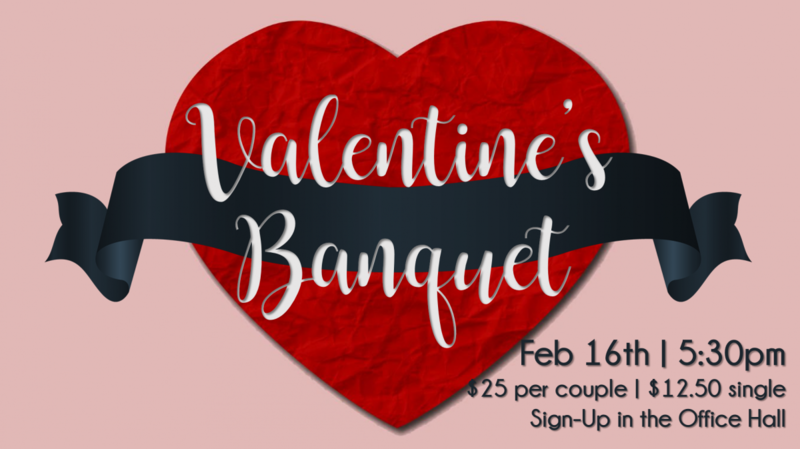 Dinner and child care will be provided for couples that come to this evening. The cost will be $25 per couple and includes dinner and childcare. Contact the Church Office via phone or e-mail to sign-up or sign-up in the Mission Hall.